The Stack data structure is described in detail over here : Data Structures: Stacks ( with C Program source code) . 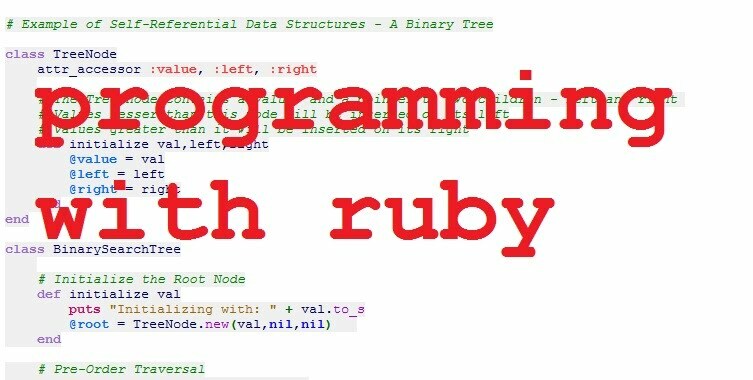 Ruby doesn't provide an explicit 'stack' but for all practical purposes, the Array provided by Ruby can be treated as a full-fledged stack. puts "(LeftMost : Oldest Element) " + @elements.join("<-") +" (RightMost : Newest Element)"